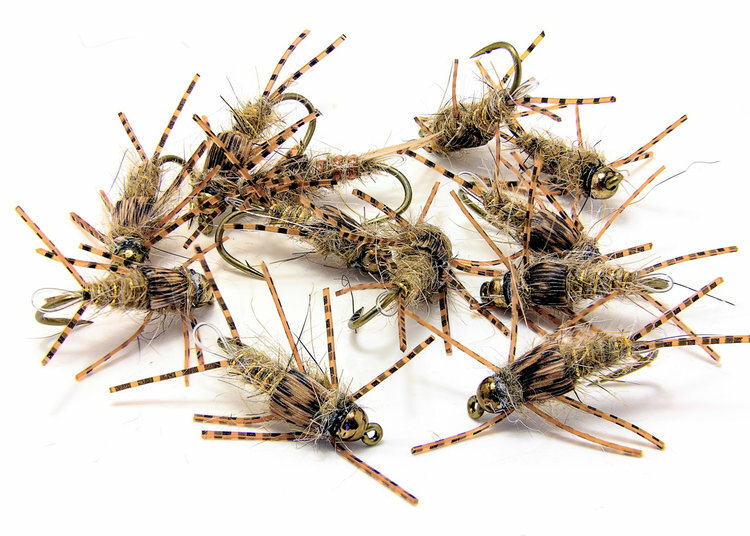 The primary challenge faced by anglers using tactical nymphing strategies or euro-nymphing, is to cast and present weighted nymphs while maintaining complete control of the speed and depth of the presentation. The methods described here may deviate from others with whom espouse the European competition methods, but as with all things, there are not right or wrong ways of fishing, just methods that work better than others in each situation. Here I describe the methods I employ most often. Line Control, keeping a tight line throughout the presentation. Control the depth and speed of the presentation. Maintain awareness, having visual & tactile information and angler response. Playing the fish on barbless hooks. I experimented during a recent guiding season where I allowed beginning anglers to use my European nymphing rods. To my delight, everybody picked up the technique, and all had success catching fish much sooner than during previous seasons where guests used the slack line bobber methods still prevalent in the American West. In fact, I shaved off nearly an hour of frustration for both guide and guest enabling my guests to make fishable presentations much sooner in the day. The only limiting factor that I had noticed in all instances was the clients were not reacting fast enough to efficiently set the hook when a fish had taken the fly, which is especially true while using slackline methods. A tight line usually caused the fish to hook themselves. On good presentations where the angler was able to maintain proper line control setting the hook was easy. This type of action usually resulted in whoops and hollers by everyone experiencing nymph fishing at its best. When using a French leader in a long-range situation, a sighter maintained above the water surface should give you visual feedback to the approximate location of the nymph and indicate if you are in proper control of the drift. Optimally, the sighter should be kept in a downstream position relative to the fly, pointing slightly upstream during the first half of the presentation. As the fly drifts by you, begin lifting as much of the line and leader off the water as necessary to maintain direct contact with the nymph, at this point the sighter should be mostly in a vertical position just above or in part within the water surface. 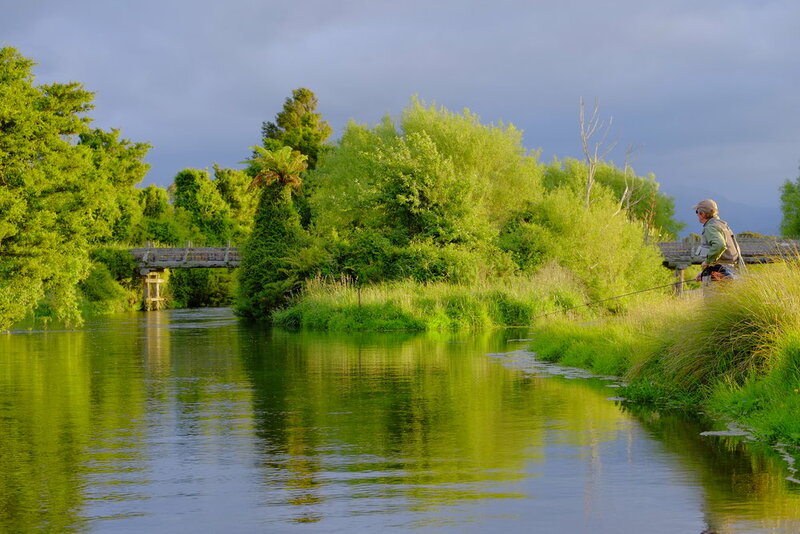 As the fly progresses downstream of your position, the sighter should act like the hands of a clock rotating around while still pointing at the fly. When the fly passes into the downstream portion of the drift, a tight line is crucial for detecting the take. If the sighter lingers in the current too long, remains stationary, or if too much drag occurs allowing the fly to drift downstream of the sighter itself, you will lose contact and not detect most takes. Correcting drag during a tight line presentation usually involves keeping the rod tip held downstream of the sighter and sometimes even pulling downstream to tighten up any slack that may occur. The Author probes likely water. To efficiently fish the European methods of nymphing, you must get the nymph to sink to the depth that fish are holding. Achieving the proper depth is a matter of selecting the right weight or combination of weighted patterns. 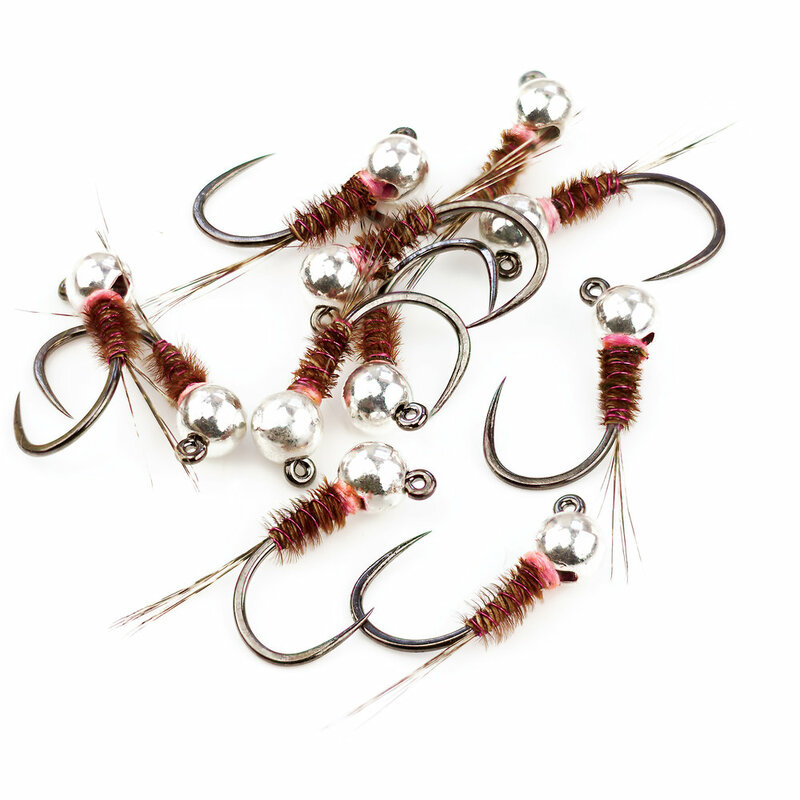 Attaching lead or tin sinkers to the leader alters the sensitivity of your rig interfering with the feel of the take. 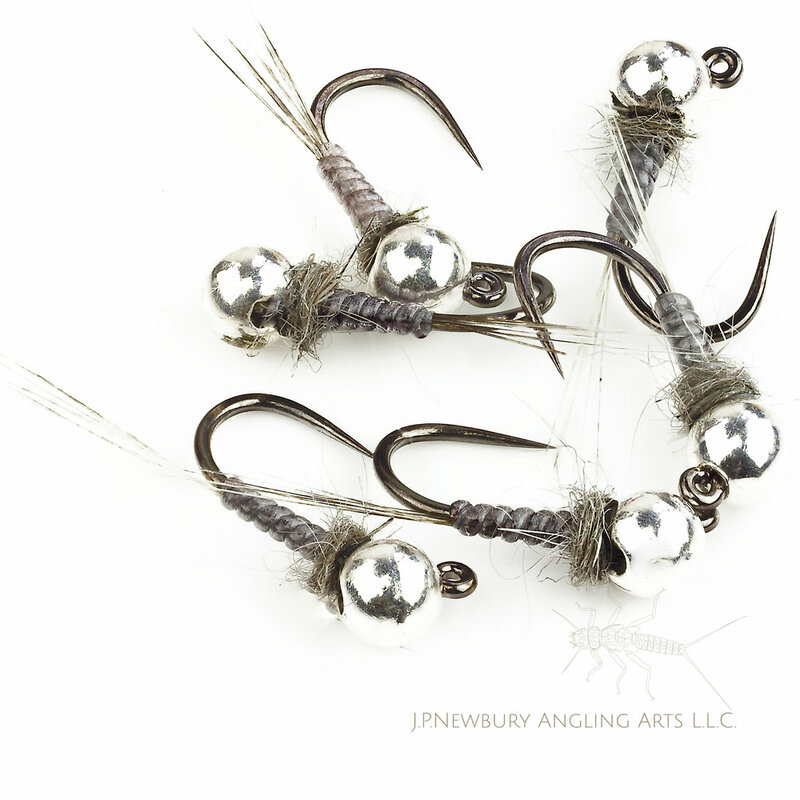 Subsequently, a well-stocked fly box must contain a full gamut of sizes and weights of tungsten beaded nymphs that will aid in your tactical approach to nymphing all water types. As rule of thumb to ensure that my guests are fishing at the correct depth, the nymph should tap bottom at least once every third or fourth presentation. If they are never bouncing bottom, I switch to a heavier nymph or lengthen the tippet section below the sighter. I find five feet of level tippet under the sighter an optimal length. I rarely increase that tippet length and most likely will just switch to heavier or lighter pattern to make the necessary adjustments. If I am touching bottom repeatedly during each drift, I will use a lighter nymph, or combination of weighted flies. Fishing too heavy may require additional manual adjustments to control the depth by raising the rod and line higher into the air. Carrying an assortment of sizes and weights of flies with you ensures you can effectively nymph all water types. The heaviest flies that I fish with have a trailer hitch tied into the fly so the fly will serve a utilitarian function as an anchor fly sinking other lightweight patterns such as Czech nymphs or midge patterns. When I tie smaller versions of the same fly, I omit the trailer hitch and use it as a dropper fly or solo in shallow water situations. Sometimes I will combine smaller, lighter patterns in tandem with a weighted point fly to get the best drift. My favorite three-fly rig is to use a midge or emerger for the top dropper affixed with 8" of monofilament on the bottom tippet ring (middle of tippet section). My anchor fly will be a heavy jig and an optional third fly, usually, a small weightless Czech Nymph attached via another 18" length of mono behind the anchor fly. I tie anchor flies explicitly to have a trailer hitch loop that aids in attaching the third fly on barbless hooks. 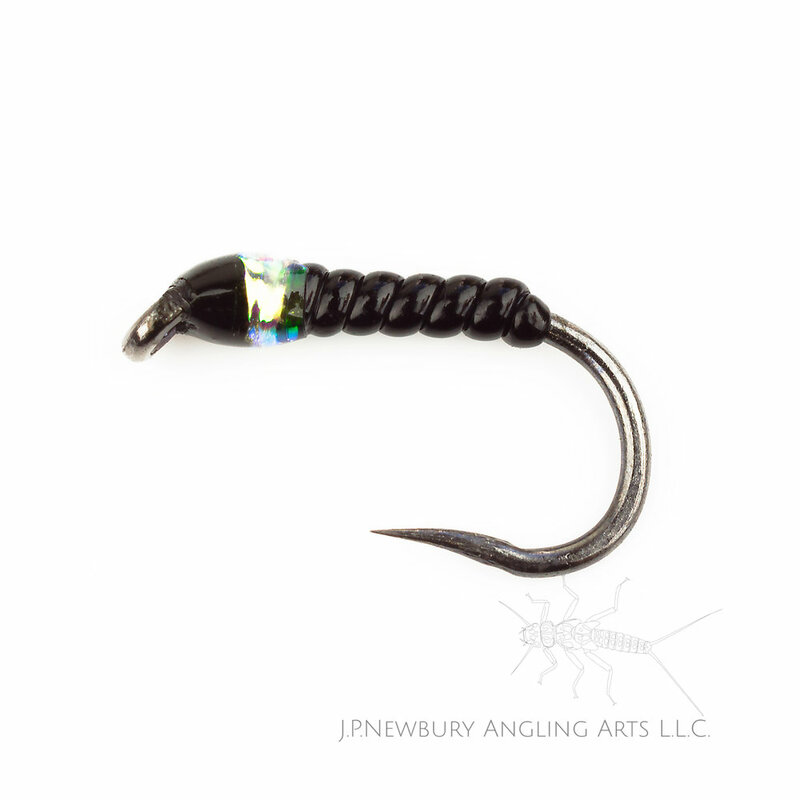 This three fly rig covers a couple of possible feeding zones, and the extra third fly off the rear can also be a small bead head nymph if additional depth is required. Fill your box with a variety of heavy flies so you can reach deeper pockets and runs. A selection of unweighted flies for use as a dropper doubles your chances of fish. Fish solo in shallow water or as a dropper when additional weight is needed to get a rig deep. These also work well suspended under a bobber for a suspended jig technique.